Earn-a-Car gives you your Blacklisted Rights! Many South Africans today are blacklisted, making it incredibly hard for them to get a car or turn their financial situation around. It is an awful position to be in. If you are blacklisted, you will know how difficult it is to secure a loan. Being blacklisted makes it incredibly difficult to access the tools needed to improve your financial situation. For example, if you are unable to secure a loan for a car, you are forced to either make use of unreliable public transport, or burden friends and colleagues with driving you around. It is not for no reason that people who have been blacklisted feel they have no rights and no one to turn to. Of course, people that are blacklisted do not have to feel as if their situation is hopeless. At Earn-a-Car, we believe that everyone has the right to improve his or her situation. Giving people the ability to turn their circumstances around so that they can help themselves is central to our philosophy. We believe that people who have been blacklisted have the right to a second chance. 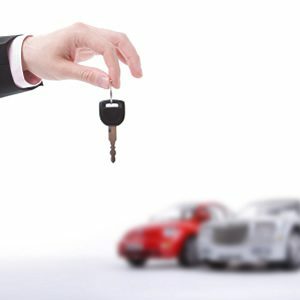 At Earn-a-Car we pride ourselves in helping people get behind the wheel of their own car in less than 24 hours, even if they have been blacklisted. By giving people that are blacklisted the opportunity to buy a car, we are able to help people with a bad credit record improve their credit rating. All you have to do to improve your credit record is stay up to date with your car payments. Because we understand the hardship of being blacklisted and getting turned down for vehicle finance, we do not perform credit checks, allowing our customers to start with a clean slate. Provided you meet some very basic requirements, we can have you back on the road in less than 24 hours. At Earn-a-car, we are experienced at helping people that are blacklisted get financing for their own car. If you are blacklisted, contact us today and you could be driving your own car tomorrow.